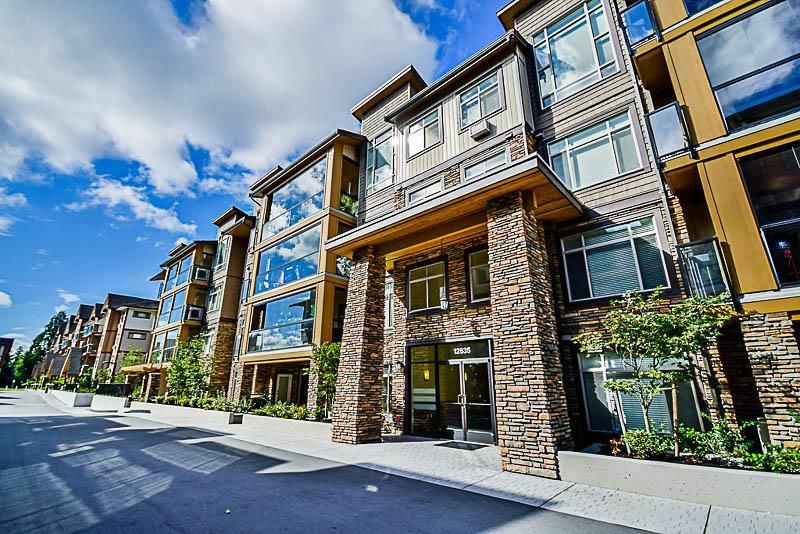 CEDAR DOWNS - Condo living at its finest with stunning West Coast architecture and Interior design. Stylish 1 bedroom with gourmet kitchen featuring granite counter tops, undermount sink, wood raised-panel cabinets with under cabinet lighting and soft closing doors and drawers. Deluxe stainless steel appliances and full size front loading, stacking washer and dryer. Heated tile floor in the bathroom with granite countertop vanity, heated fog free mirror and linen cabinet. The balcony has glassed in solarium with retractable glass. 9' celingings and wood framed closet organizers, air conditioning, blinds and roll up storage locker. Don't miss this one!